One month ago today, May 17th, 2011 I started this blog. I had just quit my full time job to pursue my entrepreneurial dreams and truth be told – I had no idea what I was actually going to do. All I knew was I did not want to have a job anymore, I wanted to build a company and change the world. I wasn’t really sure HOW that would happen. In the last 30 days I have spoken and interacted with entrepreneurs from NYC, San Francisco, Helsinki, Finland, Bangalore, India, Austria, Australia, and many other parts of the world. After years of tying to build out my company with a small team here in Seattle, I cannot tell you how many offers and business opportunities have come my way. I do not say this to boast, I say this so your eyes are opened to the opportunities right on the other side of the door you are staring at right now. It is all due to me taking the leap without knowing if the parachute was actually on my back. After a failed first attempt I am back to the drawing board with my company Loyaltize. I am still going to build a company? Will it be Loyaltize? How will I do it? What will it look like? With whom? All these questions I could not answer (most I still can’t). But regardless, this has been the single best decision I have made in my life. More doors have been opened in the last 30 days than were opened in many years living a double life. Fear of the unknown paralyzes most people. 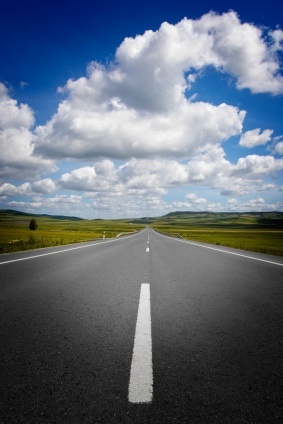 Letting go of the past and embracing the open road will lighten your load. Most people only dream of quitting their job and pursuing their dreams. Pursuing your dream is only one decision away, make it and don’t look back. Once I came to terms with letting go of a comfortable income, other opportunities emerged. Extending your self through written words greatly enhances your influence. Influence is one of the most powerful things in the world. People the world round crave inspiration and want to be uplifted. Great writing is in low supply and high demand. Confidence will get you through the early stages and any foggy future. The blog posts you think will be huge are not, and the ones you write in 20 minutes can be your most impactful. The titles of blog posts directly determines the number of viewers. Learning how to write a blog post and titling it correctly is great marketing education. The dogma of habitual thinking can hold you back. Stripping everything off and starting from scratch feels good and can free your mind for clearer thoughts. When starting something new, doing it every day for 30 days really does make you better. The road is wide open, very long and waiting to be taken for a ride. If you are thinking about it, just do it. This entry was posted in entrepreneurship and tagged 30 days, Entrepreneur, Founder, Learn, one month. Bookmark the permalink. I like this way of thinking! I’m in the process of “letting go” of so many things myself! Thanks. Sounds like you have had a full month. I think you had just made the “jump” when I started following you. Mike, you got it. It’s been an incredible month and I can’t wait to see what the next 30 days bring.